Western Sydney Wanderers have announced the departure of midfielder YojiroTakahagi and defender Yusuke Tanaka as they continue to shape their squad for next season. The Japanese duo joined the club during the January transfer window and become known for their unique sumo-style celebration after goals. “Yojiro and Yusuke were complete professionals during their time with the Wanderers and I thank them for their time here in Western Sydney,” the club’s CEO John Tsatsimas said. Joining from Sanfrecce Hiroshima, Yojiro made 17 appearances for the Wanderers, scoring three goals. He will be particularly remembered for his performance against Kashima Antlers where he helped orchestrate a 3-1 away win. While Yusuke was also an ever-present in the backline, making 15 appearances for the club after joining from Kawasaki Frontale. Takahagi started his professional career at Sanfrecce Hiroshima, a club he previously played with at youth levels. In 2006, Takahagi played a full season on loan with Ehime F.C., before returning to Sanfrecce Hiroshima in 2007. In 2005, Yusuke began his professional career in Yokohama F. Marinos, in which he made 88 appearances until he moved to Kawasaki Frontale in 2011.The 28-year-old from Kawasaki Frontale played 39 games in the J-League this season, sharing his time between left and right back. Tanaka played against the Wanderers in the group stage of last year’s Asian Champions League. Yusuke played in 10 games for Western Sydney Wanderers as he joined the club in January 2015. The Japan duo were released by the Wandererd in June 2015. Meanwhile, Trinidad and Tobago striker Kenwyne Jones is understood to be on Western Sydney Wanderers’ wanted list as coach Tony Popovic sets about rebuilding his strike force for next season. With the attacking trident of TomiJuric, KeremBulut and Nikita Rukavytsya all departing the Wanderers, Popovic is believed to be keen to bring the 30-year-old Cardiff City forward to Pirtek Stadium. Capped 88 times by his country, Jones is known for being headstrong and was fined two weeks’ wages at Stoke City in January last year after texting coach Mark Hughes to inform him he was ‘unavailable’ to play against Liverpool. Cardiff, relegated from the top tier in 2013-2014, is desperate to reduce its wage bill with Jones reportedly the club’s top earner on $58,000 per week. The Wanderers finished second last in Australia’s A-League last season with just four victories and also made an early exit from the AFC Champions League. Japan duo Takahagi Tanaka leave Wanderers FIFAcom. Japanese duo Yojiro Takahagi and defender Yusuke Tanaka have parted ways with Australias Western Sydney Wanderers the club said on Saturday. Hisao Tanaka Latest News Videos Photos about Hisao . Hisao Tanaka Latest Breaking News Pictures Videos and Special Reports from The Economic Times Japan duo Takahagi Tanaka leave Wanderers ET Japanese . Yojiro Takahagi L of Australias Western Sydney . View the photo Yojiro Takahagi L of Australias Western Sydney Wanderers is shown challenging Aoki Takeshi R of Japans Kashima Antlers during an AFC Champions . Japan duo Takahagi Tanaka leave Wanderers. Japanese duo Yojiro Takahagi and defender Yusuke Tanaka have parted ways with Australias Western Sydney Wanderers the club said on Saturday Midfielder Takahagi and . Wanderers sign Spanish midfielder Andreu Football Are . Japanese duo leave Wanderers Jun 6 Wanderers resign more young talent Jun 5 Scott Jamieson joins Wanderers May 30 Wanderers axe Juric Bulut Covic and more May 15. Japan duo Takahagi Tanaka leave Wanderers Japan Today . Yojiro Takahagi L of Australias Western Sydney Wanderers is shown challenging Aoki Takeshi R of Japans Kashima Antlers during an AFC Champions League football . ALeague News Football News Soccer News SportsFan. SportsFan football for all the latest aleague news football news and Japanese duo leave Wanderers The Western Sydney Wanderers Japanese duo Yojiro Takahagi . Japan duo Takahagi Tanaka leave Wanderers Latest News Link. Japanese duo Yojiro Takahagi and defender Yusuke Tanaka have parted ways with Australias Western Sydney Wanderers the club said on Saturday. Japan duo Takahagi Tanaka leave Wanderers Yahoo News. From Yahoo News Japanese duo Yojiro Takahagi and defender Yusuke Tanaka have parted ways with Australias Western Sydney Wanderers the club said on Saturday. Osaka News Sports Japan duo Takahagi Tanaka leave . Sports Japan duo Takahagi Tanaka leave Wanderers Japan Today Saturday 6th June 2015 Yojiro Takahagi L of Australias Western Sydney Wanderers is shown . FIFAcom Japan duo Takahagi Tanaka leave Wanderers. Japanese duo Yojiro Takahagi and defender Yusuke Tanaka have parted ways with Australias Western Sydney Wanderers the club said on Saturday. Japan duo Takahagi Tanaka leave Wanderers Ultimate . Japanese duo Yojiro Takahagi and defender Yusuke Tanaka have parted ways with Australias Western Sydney Wanderers the club said on Saturday. Japan duo Takahagi Tanaka leave Wanderers MSN. Japanese duo Yojiro Takahagi and defender Yusuke Tanaka have parted ways with Australias Western Sydney Wanderers the club said on Saturday. Home Australia Tricklar. Australia Japan South Africa India USA New Zealand China Pakistan Register Login What is Tricklar Tricklar blog Category My news Regional news North . 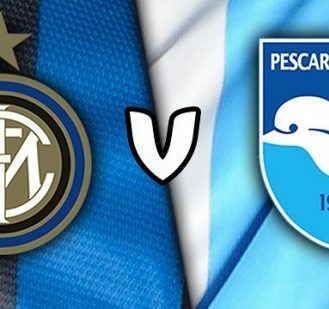 Club Websites FOX SPORTS PULSE. Club Websites FOX SPORTS PULSE fixtures results ladders statistics news and events for the Christchurch Football on FOX SPORTS PULSE the Home of Grassroots Sport. Sports Japan duo Takahagi Tanaka leave Wanderers One . Japanese duo Yojiro Takahagi and defender Yusuke Tanaka have parted ways with Australias Western Sydney Wanderers the club said on Saturday Midfielder Takahagi and . Japan duo Takahagi Tanaka leave Wanderers Daily Mail Online. Japanese duo Yojiro Takahagi and defender Yusuke Tanaka have parted ways with Australias Western Sydney Wanderers the club said on Saturday Midfielder Tak. Japanese Duo Depart Wanderers Forums FourFourTwo . Western Sydney Wanderers Football Club have parted ways with midfielder Yojiro Takahagi and defender Yusuke Tanaka The Japanese duo joined the club during the . Japanese duo leave Wanderers News SportsFan. The Western Sydney Wanderers Japanese duo Yojiro Takahagi and Yasuke Tanaka have left the club. Japan duo Takahagi Tanaka leave Wanderers One News Page. Japan duo Takahagi Tanaka leave Wanderers SYDNEY Japanese duo Yojiro Takahagi and defender Yusuke Tanaka have parted ways with Australias Western Sydney . NEWS SoccerBuzzer. Japan duo Takahagi Tanaka leave Wanderers 0606 1135 am Japan duo Takahagi Tanaka leave Wanderers June 6 2015 1135 am US battle past Matildas 31 in World . NEWS. Japanese duo Yojiro Takahagi and defender Yusuke Tanaka have parted ways with Australias Western Sydney Wanderers the club said on Saturday. Club History Drury United Football Club FOX SPORTS PULSE. Club History Drury United Football Club FOX SPORTS PULSE fixtures results ladders Tanaka leave Wanderers Japan duo Takahagi Tanaka leave Wanderers. Western Sydney Wanderers Japanese duo Yojiro Takahagi and . JAPANESE duo Yojiro Takahagi and defender Yusuke Tanaka have parted ways with ALeague club Western Sydney Wanderers. Japan duo Takahagi Tanaka leave Wanderers Yahoo . From Yahoo Singapore Finance Japanese duo Yojiro Takahagi and defender Yusuke Tanaka have parted ways with Australias Western Sydney Wanderers the club said on . Companies make a valuable point on health of employees . Companies make a valuable point on health of employees By THE ASAHI SHIMBUN Sports Japan duo Takahagi Tanaka leave Wanderers. GolTV Japan duo Takahagi Tanaka leave Wanderers. Japanese duo Yojiro Takahagi and defender Yusuke Tanaka have parted ways with Australias Western Sydney Wanderers the club said on Saturday. Japan duo Takahagi Tanaka leave Wanderers Kinews . Japanese duo Yojiro Takahagi and defender Yusuke Tanaka have parted ways with Australias Western Sydney Wanderers the club said on Saturday. GolTV Wellingtons Nathan Burns headed to FC Tokyo. Wanderers sign Japans Tanaka for ACL campaign Japan duo Takahagi Tanaka leave Wanderers Okazaki wonder goal gives Japan edge over Australia Real . Western Sydney Wanderers Japanese duo Libreprensa. All the news in one place The Wanderers finished second last in Australias ALeague last season with just four victories and also made an early exit from the AFC . Equatorial Guinea in Friendlies 2015 fixture. Equatorial Guinea Equatorial Guinea Register Login FootballLineups Whats New Americas Europe Global Recent Most Visited Women Womens Football Nationals. Libreprensa Yojiro Takahagi. Sports Western Sydney Wanderers Japanese duo Yojiro Takahagi and Yusuke Tanaka leave the club. Wanderers sign former Barcelona youth product. SYDNEY AP Western Sydney Wanderers have signed former Barcelona youth player Andreu Guerao Mayoral for the next ALeague season. Takahagi Tanaka leave Wanderers FourFourTwo. Japanese duo Yojiro Takahagi and Yusuke Tanaka have been released by the Western Sydney Wanderers Midfielder Takahagi and defender Tanaka joined the Wanderers in . Japan Duo leave Wanderers Soccer News. Japan Duo leave Wanderers The Japanese duo joined the club during the January transfer window and become known for their unique sumostyle celebration after goals. Western Sydney Wanderers FC FIFAcom. Western Sydney Wanderers FC Overview Fixtures and Results News Photos Japan duo Takahagi Tanaka leave Wanderers Saturday 6 June 2015 Share Australia . 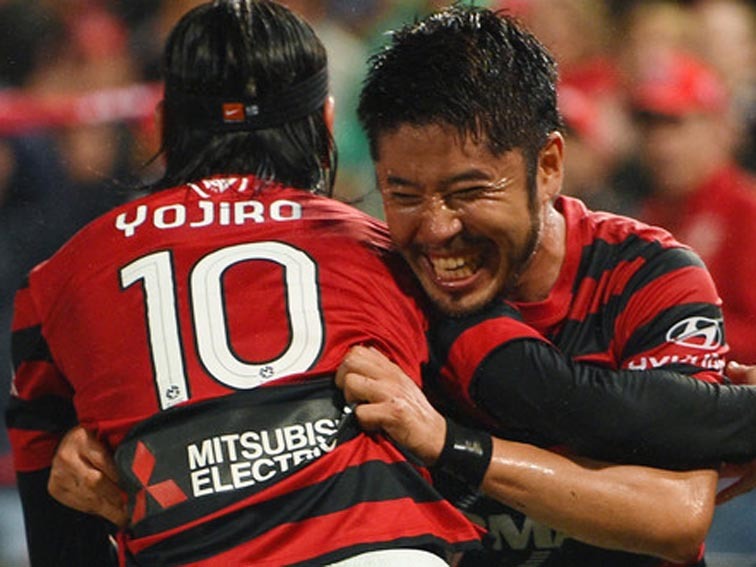 Japanese duo leave Wanderers wwos. Japanese duo Yojiro Takahagi and defender Yusuke Tanaka have parted ways with ALeague club Western Sydney Wanderers Midfielder Takahagi and defender Tanaka joined . Japan duo Takahagi Tanaka leave Wanderers Bangkok Post. SYDNEY Japanese duo Yojiro Takahagi and defender Yusuke Tanaka have parted ways with Australias Western Sydney Wanderers the club said on Saturday. NewsNow Western Sydney Wanderers News Breaking News 247. Breaking news headlines about Western Sydney Wanderers linking to 1000s of sources around the world on NewsNow the onestop shop for breaking news. Sports Japan duo Takahagi Tanaka leave Wanderers Big . Yojiro Takahagi L of Australias Western Sydney Wanderers is shown challenging Aoki Takeshi R of Japans Kashima Antlers during an AFC Champions League football . Yojiro Takahagi L of Australias Western Sydney . View Yojiro Takahagi L of Australias Western Sydney Wanderers is shown challenging Aoki Takeshi R of Japans Kashima Antlers during an AFC Champions League . Sports Japan duo Takahagi Tanaka leave Wanderers. Sports Japan duo Takahagi Tanaka leave Wanderers Japan Today Saturday 6th June 2015 Yojiro Takahagi L of Australias Western Sydney Wanderers is shown . Japanese duo leave Wanderers wwos. The Western Sydney Wanderers Japanese duo Yojiro Takahagi and Yasuke Tanaka have left the club. Japan duo Takahagi Tanaka leave Wanderers Daily Mail Online. Japanese duo Yojiro Takahagi and defender Yusuke Tanaka have parted ways with Australias Western Sydney Wanderers the club said on Saturday. The West Australian Perth WA National World News. Japan news editors lash out at calls for press curbs Militants in Mali kill six UN peacekeepers As nations dither cities pick up climate slack. Sports Japan duo Takahagi Tanaka leave Wanderers JP News. Japanese duo Yojiro Takahagi and defender Yusuke Tanaka have parted ways with Australias Western Sydney Wanderers the club said on Saturday. Japan Duo Takahagi Tanaka Leave Wanderers and BizNewsin. Japan Duo Takahagi Tanaka Leave Wanderers and related news India Business news Latest Business and Market news from around the web india at one place. Mondial 2014 news. orange mauritius portal world cup 2014 section Le mondial 2014 sur orangemu All world cup fixtures in Mauritian time Tous les horraires de match de la coupe du . Japanese Duo Depart Wanderers Forums FourFourTwo . Japanese Duo Depart Wanderers Options View Previous Topic Next Topic MvFCArsenal168 Posted Sunday June 07 2015 20104 PM Legend Joined 12292008.
dailymailorguk Daily news from arround the world. Daily Mail pulls RSS feeds from major news sites from around the world and puts them together in one convenient place.